Residence Art is a real estate developer based in Trivandrum. 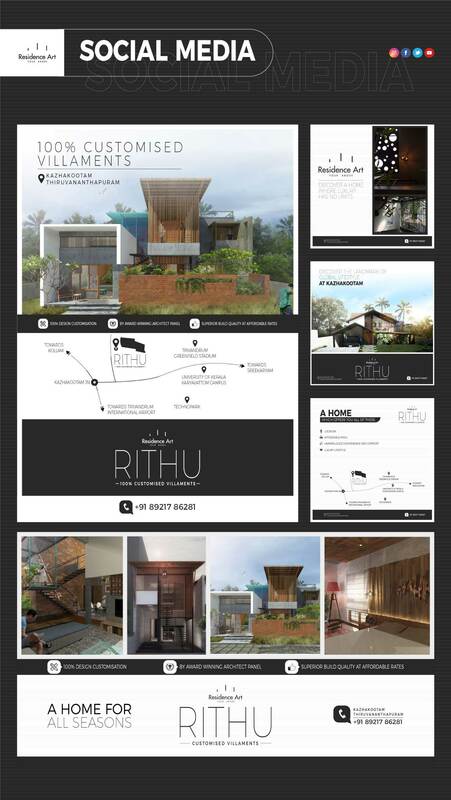 With its first villa project coming up at Kazhakootam, Residence Art is set to become the first ever 100% customized villament project in Trivandrum. Educating people about customized villaments is a challenge which was met with ease once the design and communication set the tone for the company’s target audience. Within a short span of time, with the usage of social media helped gain a wider reach for the brand.